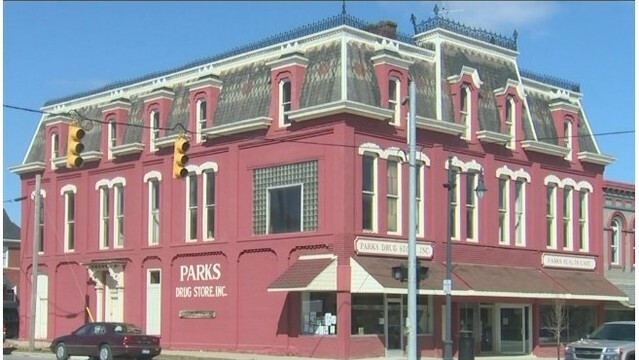 Parks Drug Store on March 16, 2018 in Albion, Mich.
Davis was eventually sent to prison for writing bad opioid prescriptions and health care fraud, and authorities say the pharmacists kept filling his prescriptions even after he was indicted on federal charges. The pharmacists also submitted claims to insurance companies for medication that they either didn't give out or that wasn't covered. Altogether, authorities say, they bilked Medicare, Medicaid and Blue Cross Blue Shield of Michigan out of $500,000. Shedd and Tooley are expected to be ordered to repay that $500,000. They also each face up to five years in prison.